We can work with you to create the personalised items you need. Combined with our embroidery services the range of finished products we can create is large and diverse. TRANSFER PRINTING - which is useful for larger runs and logos with more intricate multicolour designs. There is normally no charge for the origination of artwork if supplied in VECTOR format. Examples include ILLUSTRATOR, EPS, PDF or original COREL DRAW files. If you cannot supply your artwork in any of the above formats then we should be able to work with most image formats but these may incur an artwork charge which you will be advised of prior to printing (normal artwork charges start from £25.00 inc VAT). At PSL we use the latest embroidery machines to ensure the highest quality of embroidery possible. Embroidery is excellent for multi colour designs as you may have up to 10 colours in your design at no extra cost. For the majority of embroidered logos the design needs to be digitised into an embroidery format. Embroidery digitising is the conversion of an image i.e. your logo, into digital commands that can be read by an embroidery machine to create an embroidered item. Unless you can provide us with a digitised file, digitising your logo involves a one off set up charge of 45.00 inc vat. We supply you with the digitised file and also retain a copy for future use. 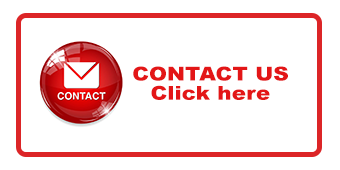 Please feel free to call us on 0141 891 5281 with any printing or embroidery queries you may have.